Well, the 2015 Kentucky Derby is in the books. And as it turns out, the winning jockey in the 141st iteration of the big race is the same guy who took home top honors in the 140th — Victor Espinoza, jockey for Kentucky Derby winner American Pharoah. So, who is Victor Espinoza? It does seem like a good time to get to know the guy. After all, he could be working on a third consecutive win come this time next year. In other words, he's near Kentucky Derby royalty. For starters, it's worth placing him into historical context. With Kentucky Derby victories not just in 2015 and 2014, but in 2002 as well, Espinoza is in an extremely elite club. 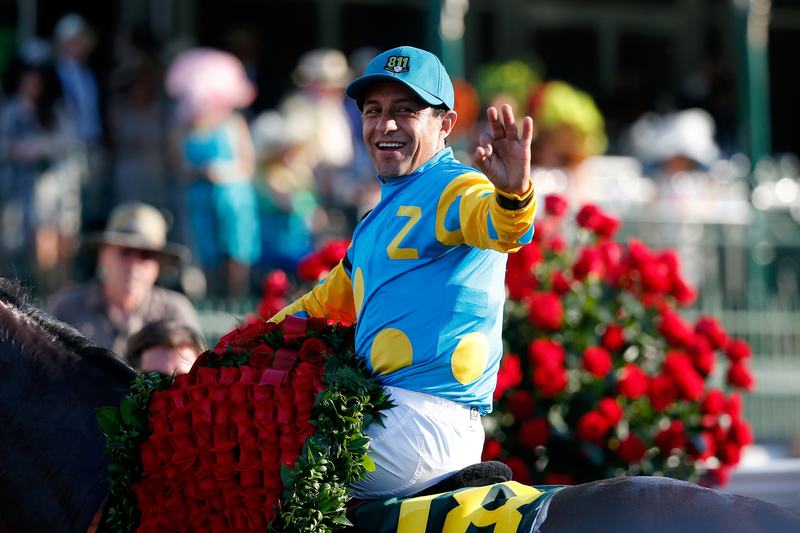 By narrowly beating out legendary jockey Gary Stevens and his horse Firing Line on Saturday (Stevens is himself a three-time Derby winner), Espinoza became just the tenth rider ever to have won the big event three times. And he did it in consecutive years, a feat that's only happened five times since the race's inception back in 1875. Simply put, he's leapt into seriously rarified air, and at just 43, he figures to have a decent run still ahead of him. He also clearly keeps his heritage close to his heart, as demonstrated by his post-race interview — he said that he felt "like the luckiest Mexican on Earth." Espinoza is generally well-regarded by the public, and not just for his stellar record on the race track (he has well over 3,000 professional victories). He's also known to donate about a 10 percent chunk of his earnings to children's pediatric causes. And according to Heavy, that's a sizeable chunk of change — he's reportedly made $173 million throughout his career, which is a lot more than I'm guessing you though you could make racing horses. Of course, it's a high payout for a highly specialized and rather unlikely occupation — Espinoza had to ascend through a jockey school in Mexico (he was born in Tulancingo, a major city in the Mexican state of Hidalgo) before making it to the United States, notching his first pro win in 1993. Simply put, when you've been in the saddle for more than 20,000 races in your life, it's hard to deny you're putting in the work, so to speak. Only time will tell if we end up seeing Espinoza return to the Derby next year, vying for his fourth win overall. But this much we do know: Race fans will be seeing him riding American Pharoah again, next time at the Preakness Stakes, the second leg of a possible Triple Crown campaign. Here's hoping the pair win there, too — with no horse able to pull off that feat since 1978.